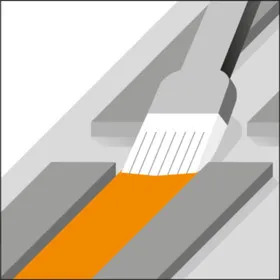 Merbenit IA45 is a fast strength SMP adhesive for application in very thin lines on one or both sides and which builds up strength very fast. The adhesive provides good adhesion even on difficult plastics. 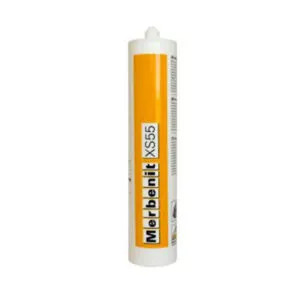 Merbenit IA45 is a SMP industrial adhesive with fast cross-linking properties that make it possible to bond parts in continuous working process. 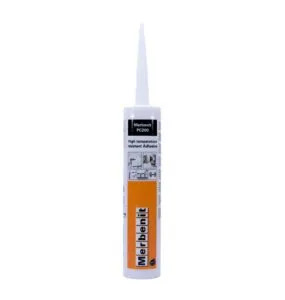 As a solvent free adhesive, it provides strong adhesion to a range of substrates without any odour. The neutral polymerisation allows a connection without thermal or chemical pre-treatment of the assembly parts. The product has a tensile strength of 2.8MPa, temperature resistance (°C/°F): -40 to +90°C (-40 to 194°F). Suitable for metal, apparatus and machine construction, plastics technology, air-conditioning and ventilation systems, car body, commercial vehicle and container construction. Installation of sound absorbing elements, large area bonding, bonding of honeycomb panels, sandwich panel, etc. 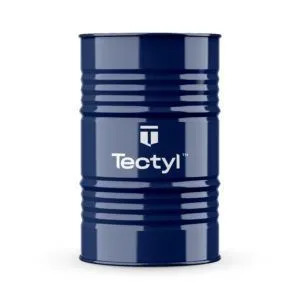 Used in automobile, rail, transport and general industry. Ensure the surface is clean, durable and free of dust, oil and grease. 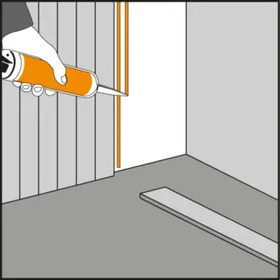 Apply the adhesive/sealant promptly to the prepared surface. 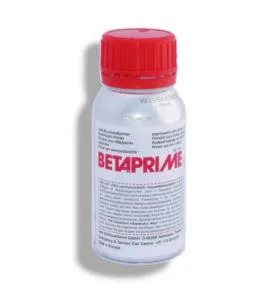 Depending on the substrate, a mechanical or chemical pre-treatment is recommended. Apply the adhesive in a thin layer on one or both sides of the substrate. 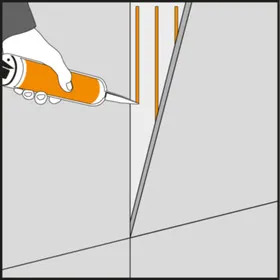 Use a suitable brush, roller or spray gun with adjustable air and fluid output.